Bars are probably the most social places in the world. It is a great way to meet new people, and most people in bars even have their guard down thanks to alcohol. Bars don’t have to try very hard to promote their product, they only have to compete with other bars in the neighborhood. 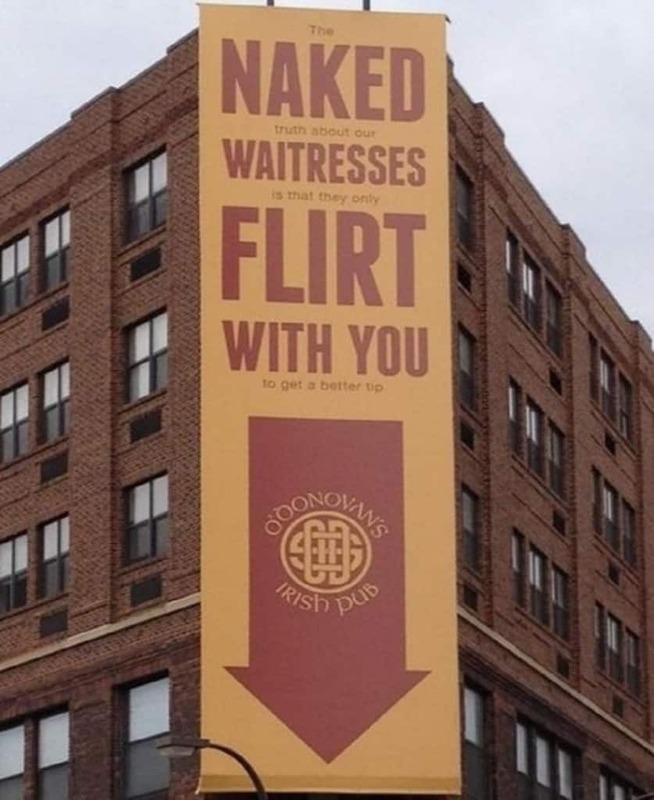 In an attempt to win the affection of bar flies, most establishments try to come up with wacky and creative signs to bring in the customers. 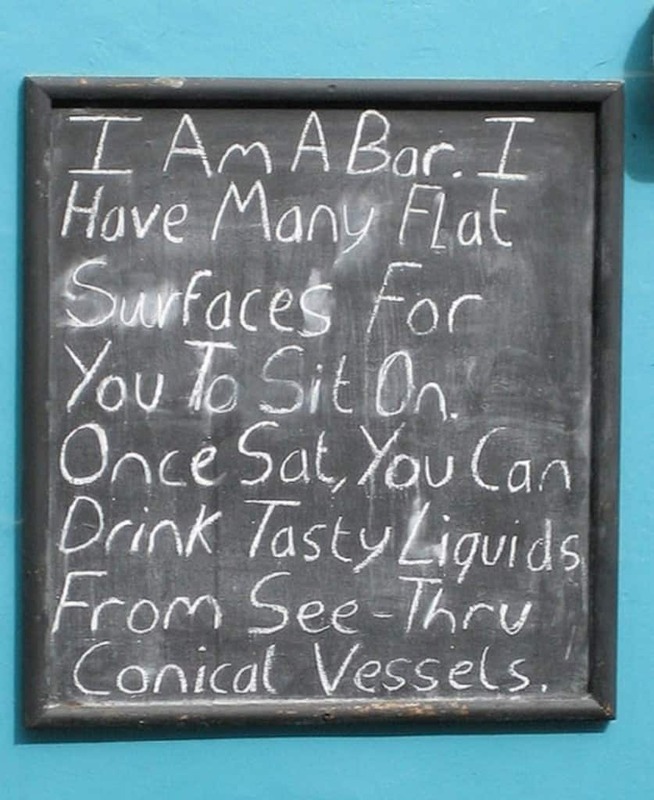 Here is a list of 10 smart and witty bar signs that you are likely to remember even after a bender. 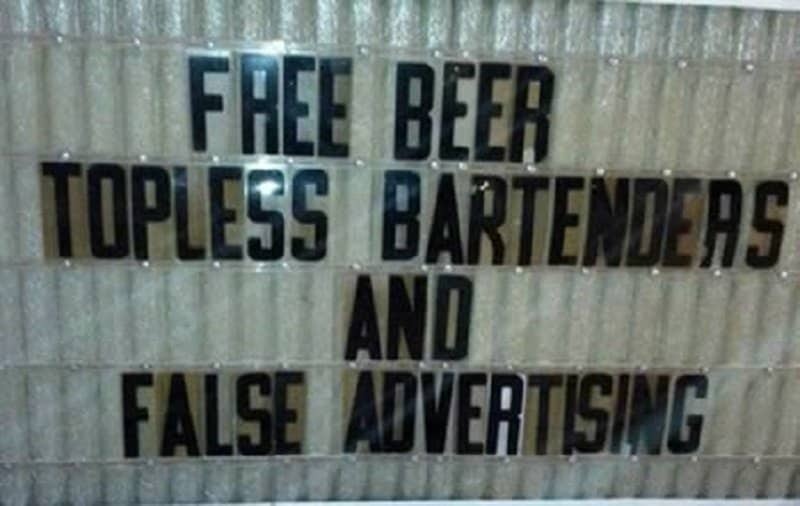 When a sign looks like it is too good to be true, always look for the fine print. 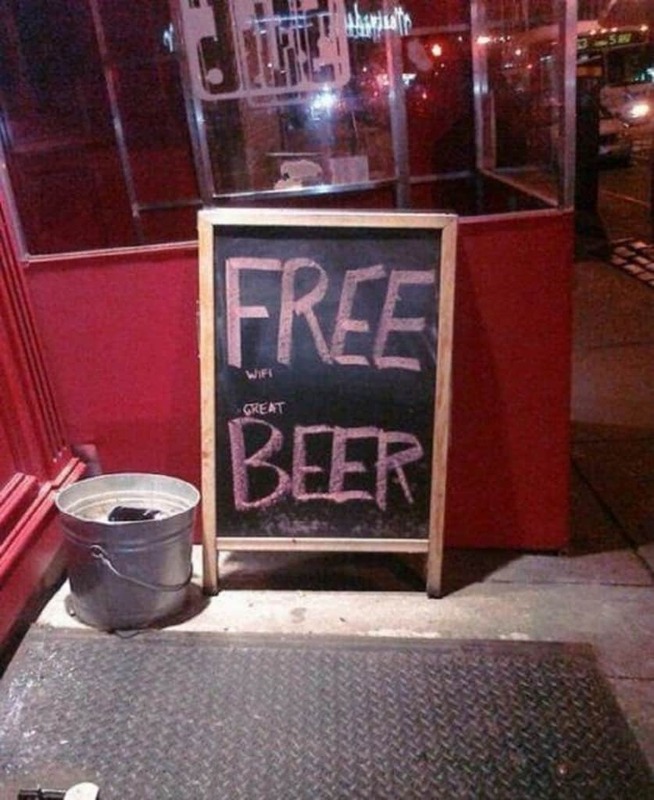 In this case, what looks like a sign that says free beer, actually says free Wi-Fi and great beer. Don’t you hate it when your better half tries to call you favorite bar in order to establish your whereabouts? 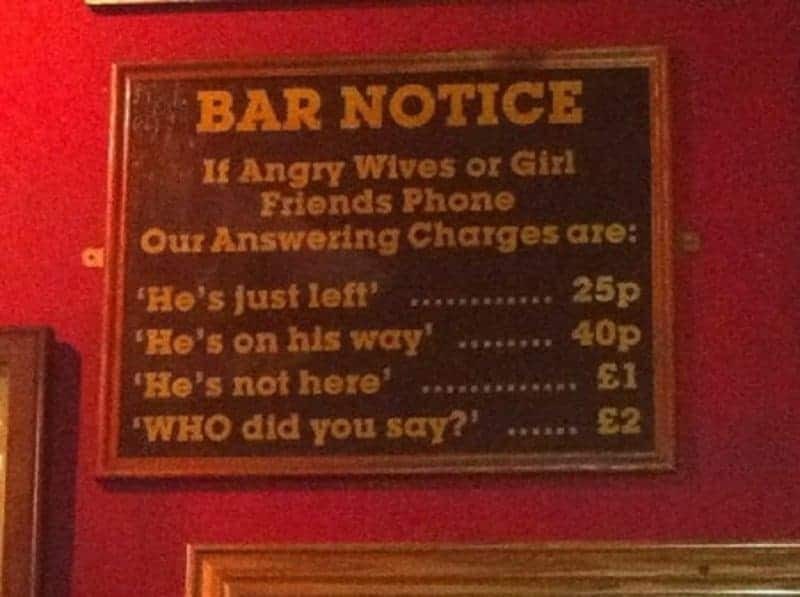 This bar takes care of that problem for you for a very nominal fee. 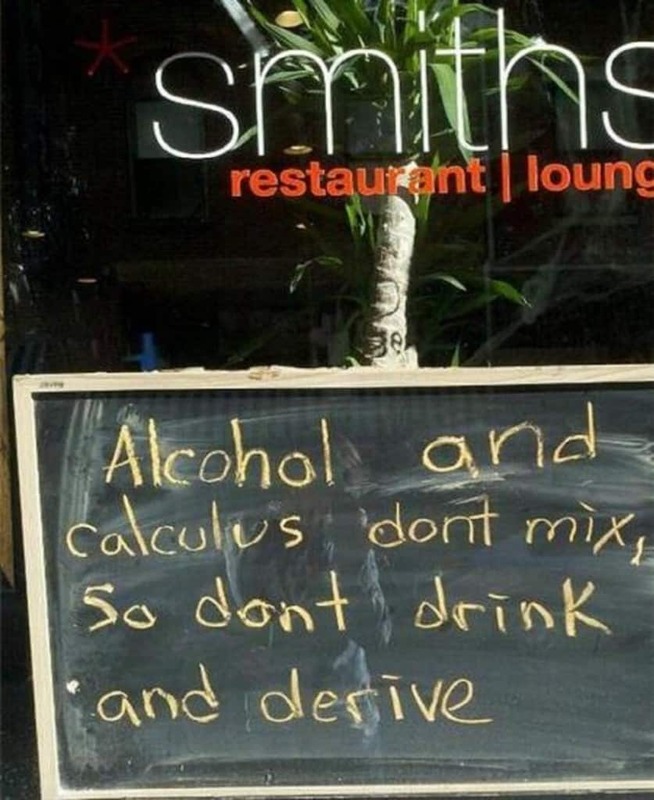 This bar decided it was absolutely vital for their customers to stay clear of calculus. They are therefore providing a very important service by putting up this sign. 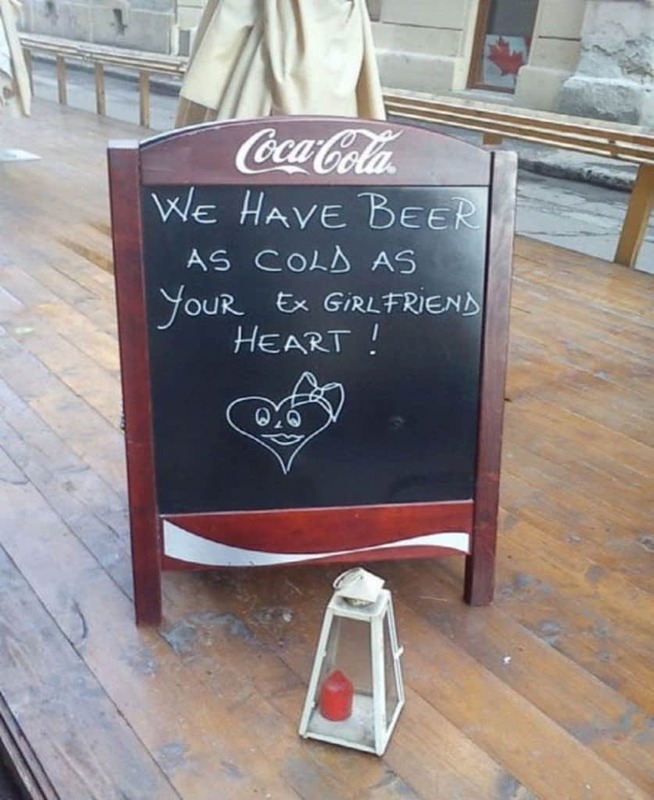 A good way for a bar to garner better business is by reminding you about their chilled beers as well as any heart ache that you have managed to subdue. 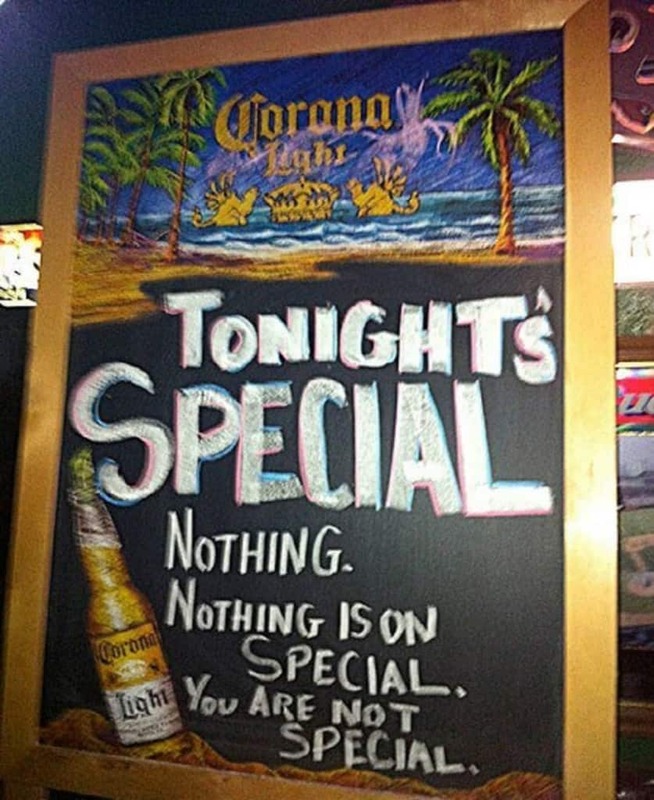 Nothing sells beers like some misery. Don’t think of it as a bar! 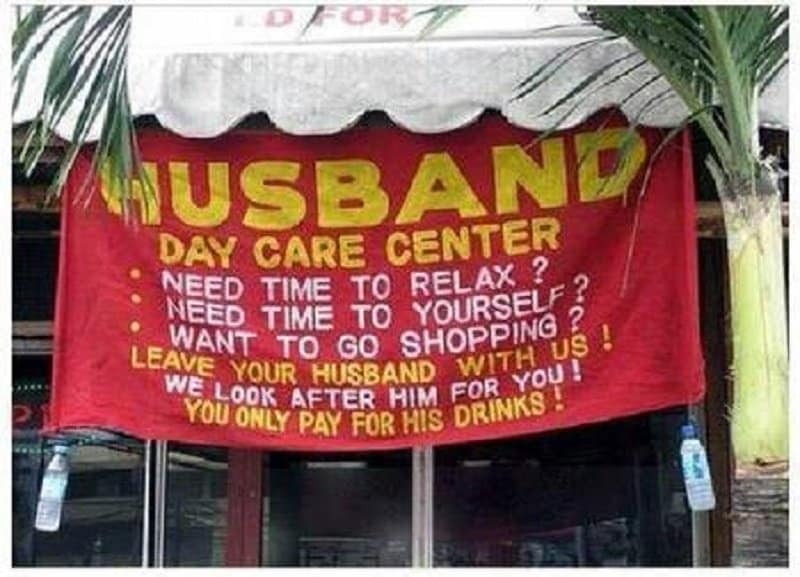 Think of it as a day care center for husbands. They will be right where you left them, and chances are they are happy and sleepy by the time you come pick them up. This bar decided to put up a clever little test on their signboard in order for customers to judge exactly how inebriated they are. 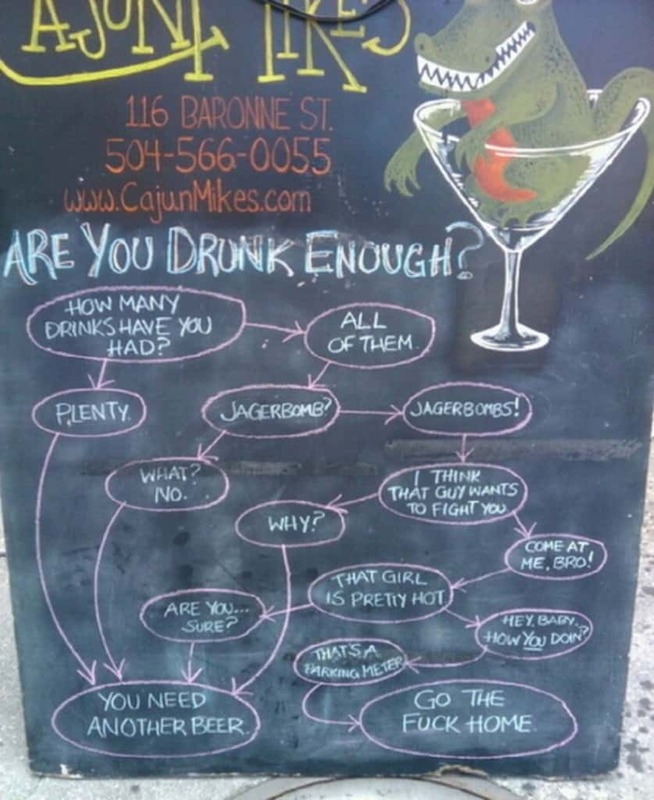 In case you just flew in from the Amazonian jungles, and you have no idea what a bar is, this sign board should clear up everything quite nicely. Most of us are always looking for a good deal, even when we want to get hammered. This bar lays it out in a fairly straightforward way. They offer nothing special because you are not special. It was classy of them to put up the words ‘false advertising’ in bold. Most places hide that part away at the bottom of the sign in a font that is barely visible. When you are a block away, and you are looking for a bar to grab a drink, this sign must seem awfully alluring.